KANI KAMA (IMITATION CRAB STICKS) — Ocean Blue Products, Inc. Enjoy the authentic taste of crab at an economical price, with our delicious imitation crab sticks. 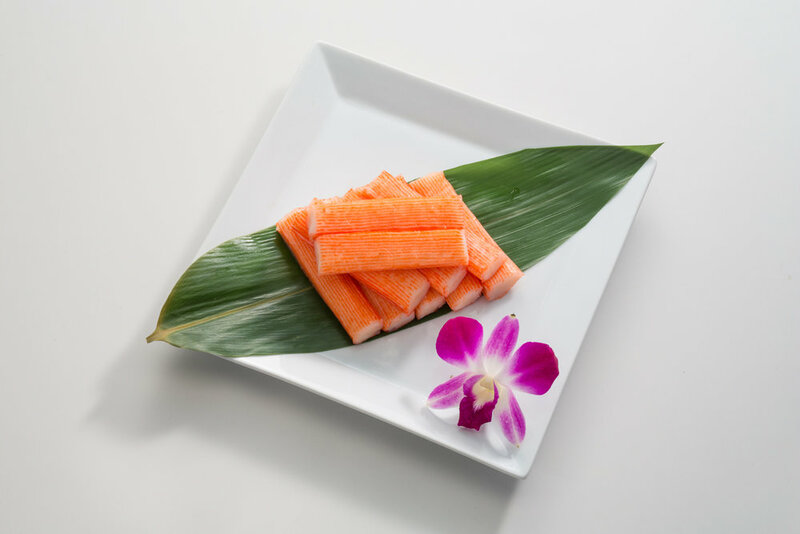 This crab alternative is a menu staple used by Japanese chefs all over the U.S., and Marusei brand's high-quality imitation crab sticks make an excellent replacement for name brands. Combining a satisfying, crab-like texture with the perfect balance of savory and sweet, these imitation crab sticks are an ideal healthy protein to feature in salads, California rolls, and more. Cured and ready to eat straight out of the package, the crab sticks are also an excellent addition to cooked dishes such as omelets and soups. This product is made with delicious Threadfin Bream (Itoyori) and Pollock, and can be a good option for diners avoiding shellfish but craving that distinct crab flavor. These imitation crab sticks are packed without excessive moisture, to ensure you receive the best quality product.